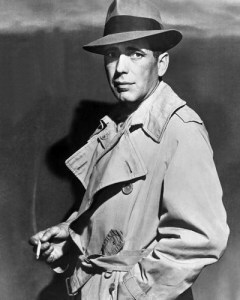 In the movies, a cigarette always looked good in Humphrey Bogart’s and Marilyn Monroe’s hand but, in real life, the toxic substances in that cigarette are really bad for your health. Let's study the facts: by numbers, cigarette smoking is the number one bad dental habit. There are approximately three thousand children who become regular smokers every year. They join the 30% of the American population that smokes daily. And eventually, they will become some of the 400,000 Americans who are killed annually as a result of smoking. If you're a smoker, you should be aware that there are over 4,000 chemicals in cigarette smoke, including formaldehyde, carbon monoxide, ammonia, and arsenic. These chemicals contribute to the loss of the three teeth that you will lose every 10 years. To say the least, smoking is a dangerous habit to develop. Do you really want to develop it? Cigarettes are not only responsible for heart disease, stroke, emphysema, and lung cancer but can also cause many different oral problems. Some of these include, but not limited to, bad breath, stained teeth, shrinking gums and mouth sores. Smoking will increase the build-up of plaque and tartar on the teeth, not to mention heightening your chances of chance of bone loss within you r jaw. That puff in your cigarette releases chemicals that, with long exposure, will delay the healing process when you have any dental work done. Much more dangerous: smoking increases your chances of developing not only gum disease, but oral cancer. Smoking and other tobacco products affect the attachment of bone and soft tissue to your teeth, as well. This, in turn, interferes with the normal function of gum tissue cells, making smokers more susceptible to infections, such as periodontal disease, because it also seems to impair blood flow to the gums—which may affect wound healing (see above). There is also a good chance that smoking might injure the gum tissue and cause receding gums, leaving your teeth exposed. This could increase the risk of tooth decay and cause hot/cold sensitivity. So think of cigarette smoking as the push that starts the falling domino effect. The best way to save your teeth from the harmful effects of smoking is to stop smoking. However, given the duration and difficulty of this process, while you undertake it, you should make every effort to brush your teeth regularly, especially before you go to bed. Also, make sure that you consult your dentist every three months to rule out oral cancer, and have your teeth professionally cleaned.